Russia’s attempt to interfere in the 2016 US presidential election succeeded in introducing an element of chaos into US politics, but neither Russia nor its leader Vladimir Putin gained much from it. Instead, US sanctions against Russia increased, and Russia’s 2017 attempt to introduce a new “reset” policy to the administration of Donald Trump fell flat as conflict between the two countries escalated. 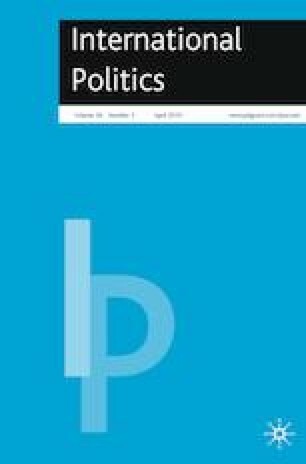 This article describes what we know about Russian actions and delves into the Russian foreign policy decision-making process, proposing four alternative explanations for Russia’s 2016/17 policies toward the US: Putin’s psychological mindset; the limited rationality inherent in all similarly autocratic regimes; competing economic interests among Russia’s elite patron–client system; and the loss of centralized control over the actions of officers in Russia’s intelligence agencies. While there is insufficient evidence to choose among these explanations, the exercise is useful because it encourages analysts to think both beyond standard realist explanations and beyond the role of Putin as an individual. Parts of this article draw on Kimberly Marten, “Explaining Russia’s Schizophrenic Policy toward the United States,” PONARS Eurasia Policy Memo 501 (Washington, DC: The George Washington University, Jan. 2018), http://www.ponarseurasia.org/sites/default/files/policy-memos-pdf/Pepm501_Marten_Jan2018.pdf. A draft of that memo was presented at the PONARS-Eurasia Policy Conference, “U.S.–Russian Relations One Year After The U.S. Election,” cosponsored by the Jordan Center for the Advanced Study of Russia at New York University in November 2017. I am grateful both for those earlier opportunities and for the comments received as a result of them. I also thank Neil MacFarlane and Elias Götz for organizing this special issue and inviting me to participate, and an anonymous reviewer and Elias Götz for detailed comments on this manuscript. Bensinger, K., M. Elder, and Schoofs, M. 2017. These Reports Allege Trump Has Deep Ties To Russia. Buzzfeed, 10 January. https://www.buzzfeed.com/kenbensinger/these-reports-allege-trump-has-deep-ties-to-russia. Accessed 10 Feb 2018. Connolly, R., and C. Sendstad 2017. Russia’s Role as an Arms Exporter: The Strategic and Economic Importance of Arms Exports for Russia. London: Chatham House. https://www.chathamhouse.org/sites/files/chathamhouse/publications/research/2017-03-20-russia-arms-exporter-connolly-sendstad.pdf. Accessed 10 Feb 2018. Fishman, M., and D. Litvinova. 2016. Why Putin Fired His Chief of Staff and Longtime Ally. The Moscow Times, 12 August. https://themoscowtimes.com/articles/why-putin-replaced-head-of-presidential-administration-54978. Accessed 10 Feb 2018. Gabuev, A. 2016. Friends With Benefits? Russian–Chinese Relations After the Ukraine Crisis. Paper, Carnegie Moscow Center, Moscow. http://carnegie.ru/2016/06/29/friends-with-benefits-russian-chinese-relations-after-ukraine-crisis-pub-63953. Accessed 10 Feb 2018. Galeotti, M. 2012. Putin: Tactician or Strategist? In Moscow’s Shadows (blog), 19 October. https://inmoscowsshadows.wordpress.com/2012/10/19/putin-tactician-or-strategist/. Accessed 10 Feb 2018. Galeotti, M. 2016. Free Sergei Lavrov! ForeignPolicy.com, 17 February. http://foreignpolicy.com/2016/02/17/free-sergei-lavrov-putin-russia-syria/. Accessed 10 Feb 2018. Galeotti, M. 2017. The Spies Who Love Putin. TheAtlantic.com, 17 January. https://www.theatlantic.com/international/archive/2017/01/fsb-kgb-putin/513272. Accessed 10 Feb 2018. George, A.L. 1967. The “Operational Code”: A Neglected Approach to the Study of Political Leaders and Decision-Making. Santa Monica, CA: RAND. https://www.rand.org/pubs/research_memoranda/RM5427.html. Accessed 10 Feb 2018. Greenberg, A. 2017. Everything We Know about Russia’s Election Hacking Playbook. Wired, 19 June. https://www.wired.com/story/russia-election-hacking-playbook/. Accessed 10 Feb 2018. Hudson, J. 2017. Russia Sought A Broad Reset With Trump, Secret Document Shows. Buzzfeed, 12 September. https://www.buzzfeed.com/johnhudson/russia-sought-a-broad-reset-with-trump-secret-document-shows. Accessed 10 Feb 2018. Ioffe, J. 2018. The Myth of Vladimir Putin the Puppet Master. The Atlantic (Jan./Feb.). https://www.theatlantic.com/magazine/archive/2018/01/putins-game/546548/. Accessed 10 Feb 2018. Koshkin, P. 2016. Why Even the Best Russian Think Tanks Struggle to Influence Foreign Policy. Russia Direct, 9 January. http://www.russia-direct.org/analysis/why-even-best-russian-think-tanks-struggle-influence-foreign-policy. Accessed 10 Feb 2018. Malloy, D. 2017. Who Will Succeed Vladimir Putin? You Decide. Ozy Magazine, 17 June. http://www.ozy.com/wildcard/who-will-succeed-vladimir-putin-you-decide/79149. Accessed 10 Feb 2018. Marten, K. 2017a. Essay, in Policy Roundtable 1–7: Russia and the 2016 U.S. Presidential Election. H-Diplo International Security Studies Forum, 27 March. https://issforum.org/roundtables/policy/1-7-russia#Essay_by_Kimberly_Marten_Barnard_College_Columbia_University. Accessed 10 Feb 2018. Minchenko, Y. (2017) Пoлитбюpo 2.0: peнoвaция вмecтo дeмoнтaжa. Minchenko Consulting, Moscow. http://www.minchenko.ru/analitika/analitika_74.html. Accessed 10 Feb 2018. Nemtsova, A. 2006. A Chill in the Moscow Air. Newsweek, 5 February. http://www.newsweek.com/chill-moscow-air-113415. Accessed 10 Feb 2018. Putin, V. 2012. Interview to Russia Today TV Channel, 6 September. http://eng.kremlin.ru/news/4367. Accessed 10 Feb 2018. Putin, V. 2015. ‘We Did What We Had to Do’: Putin Opens up on Crimea Reunification Plan. RT, 10 March. https://www.rt.com/news/239197-putin-crimea-referendum-decision/. Accessed 10 February 2018. Sasley, B. 2013. Emotions in International Relations. E-International Relations, 12 June. http://www.e-ir.info/2013/06/12/emotions-in-international-relations/. Accessed 10 Feb 2018. Sipher, J. 2017. The Steele Report, Revisited. Slate, 11 September. http://www.slate.com/articles/news_and_politics/jurisprudence/2017/09/a_lot_of_the_steele_dossier_has_since_been_corroborated.html. Accessed 10 Feb 2018. Stockholm International Peace Research Institute. 2017. SIPRI Arms Transfers Database. https://www.sipri.org/databases/armstransfers. Accessed 10 Feb 2018. The Steele Dossier. 2016. Company Intelligence Report 2016/80. https://assets.documentcloud.org/documents/3259984/Trump-Intelligence-Allegations.pdf. Accessed 10 Feb 2018. Tucker, P. 2016. Russia Wanted to be Caught, Says Company Waging War on the DNC Hackers. Defense One, 28 July. http://www.defenseone.com/technology/2016/07/Russia-wanted-to-be-caught/130312/. Accessed 10 Feb 2018. Yasmann, V. 2006. Russia: Corruption Scandal Could Shake Kremlin. Radio Free Europe/Radio Liberty, 26 September. https://www.rferl.org/a/1071621.html. Accessed 10 Feb 2018.